TDP leader Anam Vivekananda Reddy passed away.The last few days, he was suffering from illness and He was hospitalized at Secunderabad Kims hospital and died on Wednesday morning.Anam Vivekananda Reddy is being treated in KIMS for a month.Born in Nellore on December 25, 1950, Anam Vivekananda Reddy was studied Bcom at Nellore VR College.Anam Vivekananda Reddy has two sons.Anam Vivekananda Reddy won three times as MLA in 1999, 2004 and 2009 .Vivekananda Reddy is the eldest son of former minister Swargiya Anam Venkata Reddy .He entered into politics with his father's brother political legacy.In 1983, his younger brother Ramanarayana Reddy had a chance to contest as an MLA for Nellore Assembly,while he was the elder in age, but he did not get an MLA chance at the age of 45.Vivekha, who served as a District Cooperative Bank chairman for some time in 1985, He remained in TDP since 1983 and did not get any other chance while being in the party.did not give a Nellore seat in the 1985 elections. 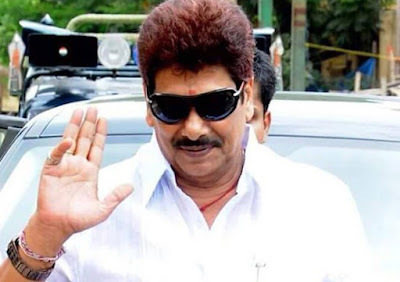 Thus, he entered the Congress in 1992 and gave him the opportunity to become Nellore Municipal Chairman Congress candidate in 1995.In the period of Telugu Desam government, Viveka won a sensational victory over YT Naidu with 36 votes.in the 1999 election, he has fulfilled his long-lasting dream become as MLA.Nedurumalli Janardhana Reddy was also got a ticket as Congress candidate from Nellore constituency in the 1999 assembly elections.he won the victory over BJP candidate Dega Narasimha Reddy.Leading the opposition as a leader for five years.In the 2004 elections, Nellore won the second time as a MLA with a huge majority. The Congress government came to power in the state right after YS Rajasekhara Reddy became Chief Minister. The brothers in the Nelloregla marker printed as the mainstay of the YS. Every member of the constituency has been formed. YES in 2007 Anam Ramanarayana Reddy was enraged in the cabinet. YS. When Ramanarayana Reddy was the minister in the colony, he grew up. In 2009, the Viveka Praja Rajyam candidate, who contested from the newly formed Nellore Rural, was stunned by his close relative, Anu Venkat Ramananda Reddy, with 3131 votes, in the reorganization of the constituencies. In September 2009, the death of YS Rajasekhara Reddy brought many changes in the lives of many Congress leaders. Many Congress leaders have been politically shattered. Some have lost their past glory. There are also Vivekha among them. YS. Viveka, who stood up for Jagan in the early days of his death and fought hard on his behalf, changed his voice for a few days. The jingle against Jagan. Trivandrum leaders have also accused Vivekan of allegations against Jagan. After the split of the state, the Congress was defeated in AP. In the end of the 2014 election, the brothers were staying in the Congress, hoping for the chair. In the 2014 election, Viveka has been dropped from Nellore city by his son ACSubarddi as Congress candidate. He did not get a deposit at that election. In the 2014 elections, Telugu Desam came into power. In 2015, Ana Vivekha and Anam Ramanarayana Reddy joined the Telugu Desam. Anvakur Incharge assured MLAs and Anam Ramanarayana Reddy for Aniv Vivekan while joining the party. However, Ramanarayana Reddy was given an incharge but in the case of MLC, Vivekaku pointed. Apart from this, the happiness of the happy brothers in the party. At least one of the party sessions at TDP was not invited to the brothers who had been the unconstitutional in Nellore district. His fans and supporters are unable to digest what is 'no longer'. © Copyright Way2newstv 2017. All rights reserved.